The beginning of the new year 2018 has been delightful for Sandipan Mitra and Uttam Kumar, the CEO and founders of HungerBox. This GrowthStory promoted HungerBox is a B2B food-tech startup that won $2.5 million in a pre-series, a funding round by Lionrock Capital and Kris Gopalakrishnan, the co-founder of Infosys. GrowthStory is venture building platforms led by K Ganesh and Meena Ganesh, the serial entrepreneurs. 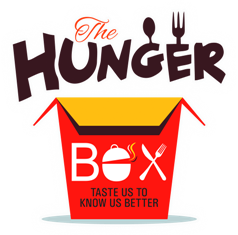 HungerBox was founded two years ago in Bengaluru and in last fifteen months, it has seen tremendous growth. Today, it operates in Bangalore, Pune, Mumbai, Jaipur, Chennai, Delhi NCR, and Hyderabad. The food-tech startup operates over 100 digital cafeterias and has over 75 corporate clients. Their clientele consists of very renowned names like Qualcomm, Accenture, Capgemini, Microsoft, FirstSource, Genpact, ABB, Amazon, McKinsey, to name some. They are receiving over 120,000 orders every day and growing. HungerBox uses IoT to connect vendors to corporate clients seamlessly. It offers four different categories of solutions together in a single offering as the digital cafeteria management platform. They have a customized mobile app that offers over 50 payment methods. Based on the reimbursements offered by the companies, their employees can access and avail the services online. They can view every enlisted vendor, their menus and can place the order through the app. With a team of 200-members and they can track the entire process. The app also makes personalized recommendations using AI and also comes with a health mode for health-conscious employees. Currently, the B2B space in the food and beverages industry is a very viable business object. The spending in this sector is estimated to reach over $14 bn, just in India. Calculating the progress, it is growing at the rate of over 15% annually. Names like Swiggy, Zomato and FoodPanda have already been here. Now, the cab aggregators, Ola and Uber are also getting ready for their entry. Ola has taken its step by acquiring Foodpanda in December 2017 while Uber has its own UberEats service. Along with that Swiggy is in talks with Naspers for raising $200 million for its venture. Recently, the broader F7B segments have witnessed increased investment as well. Earlier in January, HW Wellness Solutions Pvt. Ltd, the Pune based company raised Rs. 5 crores in a pre-series funded by RP- Sanjiv Goenka group. HW Wellness runs and operates True Elements, the health food startup. In December last year, Teabox.com, the specialty tea e-retailer raised $7 million from RB Investments in round B series. Teabox.com is owned and operated by Asianteaxpres Pte Ltd with offices in Bengaluru and Singapore. Also, in the same month, Vahdam Teas Pvt. Ltd. raised @1.4 million in a series round A by Fireside Ventures. All these data indicate towards a growing space of food tech. HungerBox and other B2B food-tech startups are pushing themselves and doing well. Many companies are willingly investing in these startups. The face of the F&B industry is changing and fast.